City officials say a large number of students at the Duke Ellington School of the Arts, a public high school, are not D.C. residents. But parents say the city is falsely accusing many families. 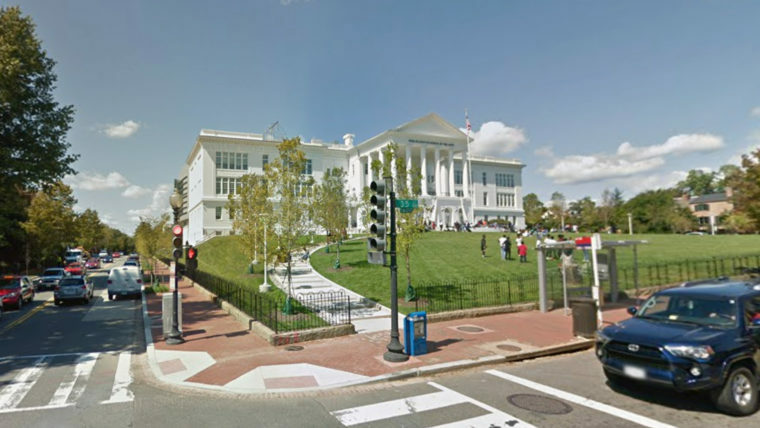 A D.C. investigation into allegations of widespread residency fraud at the Duke Ellington School of the Arts, a public high school in Georgetown, hit a snag on Wednesday, when a D.C. judge agreed that the city had not properly informed 164 parents who were accused of not being D.C. residents of their right to appeal the determination. In the wake of an enrollment audit conducted by the Office of the State Superintendent of Education, earlier this month the parents were sent letters in which they were told that an investigation into their enrollment forms had raised questions about where they lived. Under D.C. law, only city residents can attend public schools free of charge. Non-residents are required to pay tuition of roughly $12,000 a year. The audit found that more than a quarter of Ellington’s 570 students were not D.C. residents and were not paying tuition. City officials said those cases were being forwarded to D.C. Attorney General Karl Racine, who can sue for unpaid tuition and damages. But a group of parents said OSSE had overreached in its audit. They filed a lawsuit earlier this week accusing the agency of not properly informing the 164 families that they had 10 business days to appeal a determination of non-residency. That 10-day deadline ended today. A D.C. judge sided with the parents at a hearing Wednesday morning. OSSE said it would reissue the letters to the 164 families with the proper information regarding their right to appeal and would not require the exclusion of students for the remainder of the 2017-18 school year. Racine’s office also said it would allow the administrative appeals to run their course before doing any further investigation and possible prosecutions for residency fraud. In the audit, OSSE said it found instances of fraudulent residency documents, as well as instances where there were enough inconsistencies in residency documents to raise red flags. It also said the extent of the apparent residency fraud showed “at minimum, a significant lack of oversight and internal controls at the school.” By comparison, OSSE said it found 111 cases of residency fraud at all other D.C. public and charter schools combined. But Smith said many of the 164 parents accused of not being D.C. residents really are, and would seek to prove so by filing appeals. “Hear our side of the story,” he said.